Welcome to L-W-O's Skin-care page. 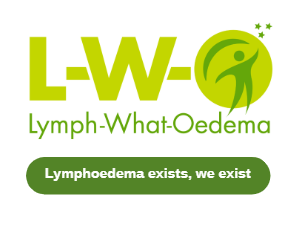 The aim of this page is to help us understand that, for those of us who live with Lymphoedema, how important it is to take care of our skin. Our skin is our largest organ and it needs to be nourished and cared for. Looking after our skin is our responsibility. L-W-O members often make recommendations that work for them, so what works for one member might not work for another. 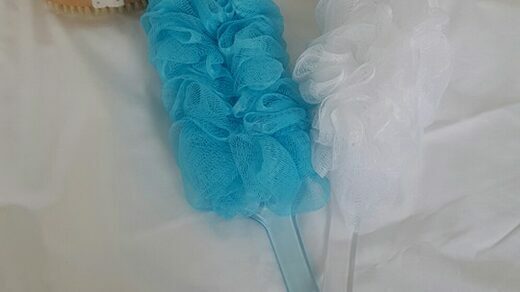 Body brushing will help get rid of dead skin cells and help your skin from drying out, leaving your skin silky soft. 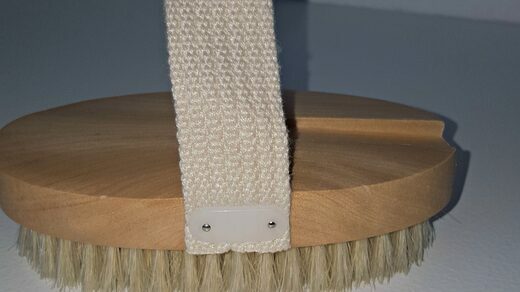 Furthermore body brushing helps to eliminate toxins and helps with cell regeneration. It gives a big boost to your lymphatic system by moving lymphatic flow. 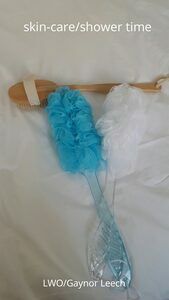 Body brushing stimulates the blood flow and circulation as well as sweat and sebaceous glands. Here is an extract from the article that made me sit up and take notice. 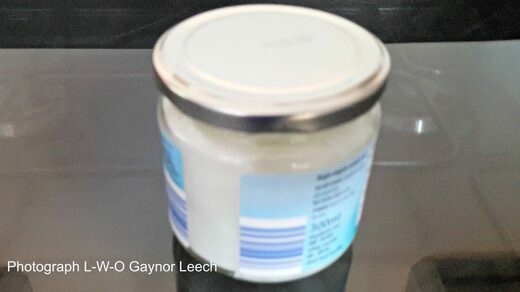 "When toxins are absorbed through the skin, they are taken up by the lymphatic system, then into the blood stream and eventually the liver---the chemical processing plant of the body responsible for removing the toxins". I fully understand that virtually every piece of clothing we wear is synthetic and therefore full of chemicals. With the need for affordable clothing most of us do not have a choice. However, what we can do if a skin problem develops and worsens when wearing a particular piece of clothing is to discard that item. Please be aware, but don't let it rule your life. 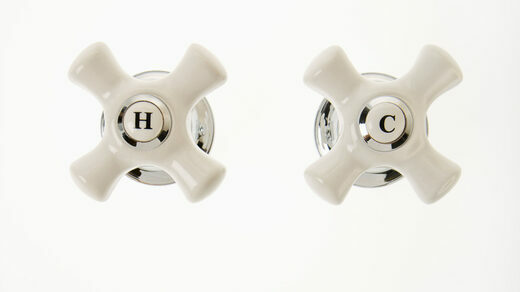 When you have your bath/shower make sure you test the water temperature. Optimum shower temperature 320​ - 42 0 ​Celsius. Ours is kept on 380 ​because this suits me and my husband. Its a personal choice. We are lucky as our shower has its own thermostat. Extreme cold water temperatures are not good for lymphoedema skin, neither is anything too hot. Make sure you dry your skin thoroughly. Especially between sensitive areas and the toes. Looking after your feet in cold weather is as important as in warm. Wear well-fitting footwear for support and to protect your feet and avoid getting blisters. ​Visit our Foot-care page for more in depth information on how to take care of your feet. Moisturise your skin daily including your elbows, feet, heels, knees and legs to make sure you keep your skin in good condition. Preferably use a non scented low pH level moisturiser. There is great emphasis on how to look after your Lymphoedema skin in hot weather. 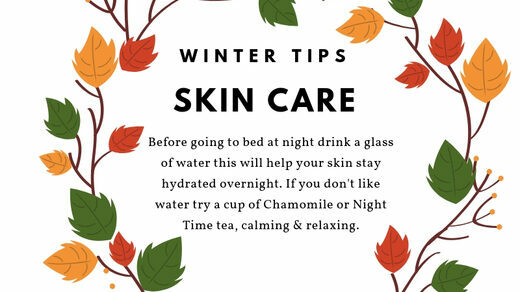 However, we must not forget that we need to care for our skin in cold weather. Skin can become chapped and dry as the autumn and winter approaches. If you start to scratch because your skin has become dry, then you may cause a break in the skin that would allow infection to get in. 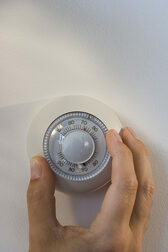 ​Cold air and central heating can also have quite an effect on your skin. If you turn your central heating off at night or down low this will reduce your skin drying out whilst you snuggle under the duvet. 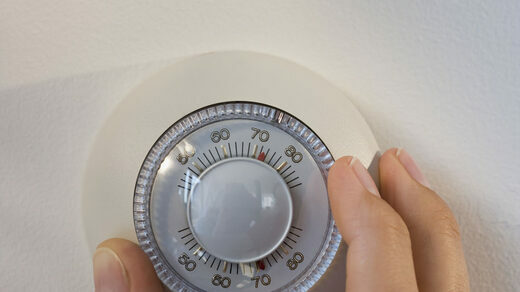 This will also save you money on your heating bills!! Our skin is the largest organ in our body and we need to take care of it as it will be with us for the rest of our lives. Looking after your skin now that you have been diagnosed with lymphoedema is extremely important. Skin can become dry and at times you may feel you want to scratch, cracks and breaks can happen quite easily, often before you become aware. By moisturizing your skin you help to protect and prevent the breakdown that should help reduce swelling that could lead to infection. Keep your skin clean and dry. I cannot stress enough the importance of hygiene and especially hand washing. Use soap free cleansers (Aqueous Cream) that will not dry your skin out. Moisturising is a good way to avoid this so after your bath or shower get into the habit of treating your skin on a daily basis. 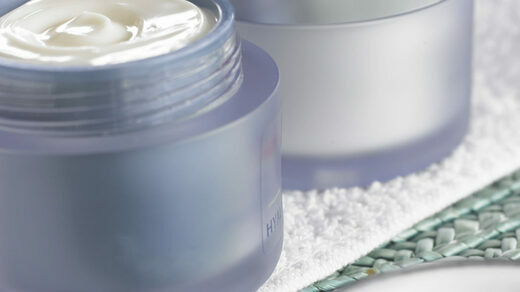 If you have to wear a sleeve or any form of compression garments, then moisturise at night before you go to bed. 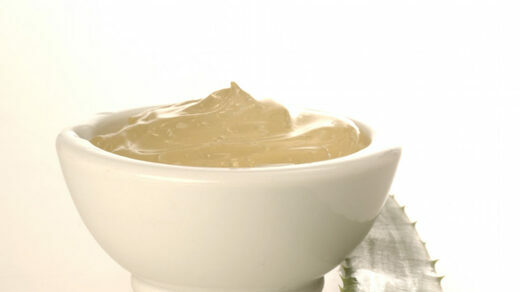 I can not emphasise enough how important it is to moisturise with an unperfumed cream or oil. If you do it daily it takes seconds. Don't forget to moisturise from within, drink lots of water. Keep hydrated this is good way of moisturising from within. 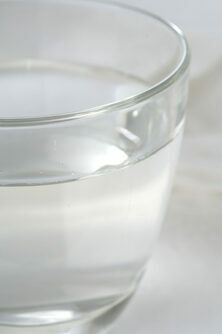 If you can't face cold water try a glass of warm water with a slice of lemon or lime. Stay away from Caffeine like coffee and fizzy drinks. Try drinking herbal teas, there are so many different flavours to try. Another way to nourish your skin is to eat fruit and vegetables especially those with vitamins A, C, and E.
Very few foods have vitamin D in and you need this for your skin. Oily fish such as herring, fresh tuna, mackerel, salmon and sardines all good for you. Antioxidant foods such as broccoli, dark leafy vegetables, kiwi, peppers and tomatoes all contribute to your wellbeing. Whilst undergoing radiotherapy you will already have been advised to use copious amounts of aqueous cream to keep your skin in the best possible condition. However once your skin has settled down after treatment then you can find a moisturising cream that suits you. If in doubt ask your pharmacist. I have been lucky that I am able to use a moisturising cream from my local supermarket which is more than adequate for my needs and is inexpensive. Whenever you try new products always remember to do a patch test. Lymphoedema skin can be super sensitive so please take good care of it. Aloe Vera is also very good for skin. 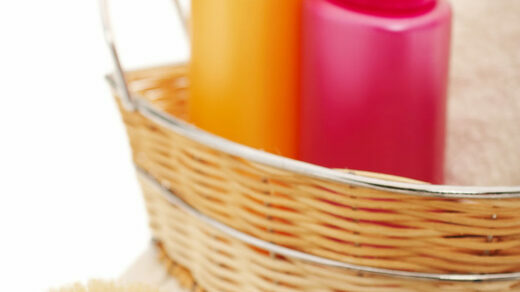 There are plenty of natural products on the market that do not contain chemicals. Small cuts and grazes should be treated immediately by washing the area thoroughly, then apply antiseptic cream. I carry a tube of antiseptic cream every time I go out. If you see any sign of infection then a trip to see your doctor is a must. To emphasise the dangers, one of our L-W-O members had a small paper cut at work. This was early morning by 12.00 p.m., she was sent home. Early evening she felt extremely poorly her temperature by this time had shot up to 39. At 8.00 p.m. she was admitted to hospital. This is how quickly infection can spread with Lymphoedema. 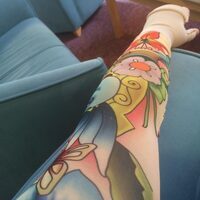 Very important point; I do not remember being told or remember seeing in any of the material I have read, about letting other people know that you have lymphoedema. Please make sure that your family and friends are aware in case of accident that, they can tell health care professionals that, you have lymphoedema. This might seem like common sense but in case you are incapacitated they can make sure blood or injections are not given or taken from your affected limb. My lymphoedema is Breast & Chest Wall so I do not wear a compression garment and therefore it would not be obvious that I have lymphoedema. It is important that my family and friends know that I can not have, blood or blood pressure, or injections from, my affected side. It is important to be fitted by someone experienced in selecting, measuring and fitting compression garments. Your lymphoedema specialist will do this for you. Compression garments are available in different grades of pressure depending on the degree of your lymphoedema. The specialist will request a prescription from your GP for an appropriate garment. During your fitting you will be advised and shown how to put on and remove the garment. Put your garment on first thing in the morning, when the limb is at its smallest, but not immediately after a shower or bath as dampness can make it difficult to put on. There are different applicator aids available to help put garments on and to take them off. Make sure the material is distributed evenly and there are no wrinkles or creases when your garment is on. 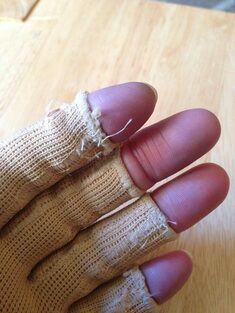 Wearing a rubber glove on the unaffected hand can help you smooth the garment out. Moisturize your skin at night after you have taken off your garment rather than in the morning, because cream makes hosiery difficult to put on. ​Some of the L-W-O members have found these fun sleeves to put over their arm compression garments. I am thrilled to see that manufacturers are now beginning to do other colours in compression garments besides beige. This is a great step forward. properties. Remove excess water by pressing the garment between a folded towel and allow it to dry naturally. 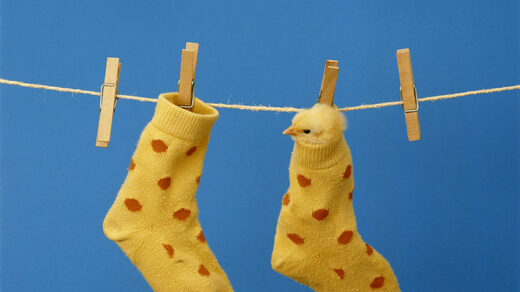 Never put the garments over a radiator or in the tumble drier. If you follow the link below produced by the NHS & LSN, this gives a more detailed account of compression garments. It is important to wear your compression garment all day, but it can usually be taken off at night when you are lying down and resting. If you are travelling a long distance, especially by air, make sure you wear it for the full length of your journey and for some hours afterwards. You should be given two garments so that you can have one in the wash while you wear the other. 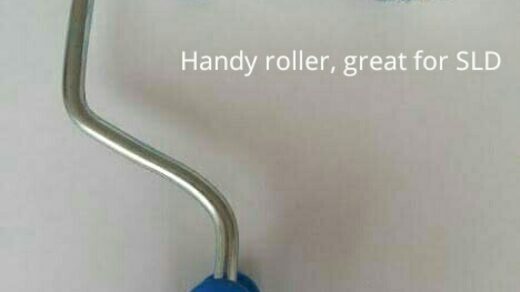 The manufacturer will supply washing instructions. Worn every other day, they usually last 4-6 months. If your compression garment is too loose, it won't control the swelling and needs to be refitted. If it is too tight, it will restrict blood flow. If you get pins and needles, pain, or your toes change colour, its too tight. Remove it straight away and contact your lymphoedema specialist for advice. Compression garments used incorrectly can be harmful, and won't help the swelling go down. The material can form tight bands across the skin and even damage it. If you are in doubt, ask your lymphoedema specialist for advice. Source: Lymphoedema Support at the Mary Ann Evans Hospice. Thank you to Kay and Nicky for your help and support. Compression Hosiery is a great way of reducing swelling but taping can be just as successful. Kinesio taping is used to treat severe Lymphoedema. Unlike the compression garments that you remove at night, Kinesio tape can be used 24 hours a day. In simple terms the tape moves with you and channels the flow of lymphatic fluid away from the areas it has built up in. Many of the ladies in members group have been taught to do the taping for themselves. The tape also comes in a variety of colours which our ladies like. Below is a photograph of Donna Walsh's arm showing how her taping looks. Remember alcohol dehydrates the skin. Certain medications make me itch and I scratch like mad, so if this happens to you, see your doctor. Several of my medications state, 'may cause itching, skin rashes or hives'. Please read the Medical Disclaimer in the Footer below.